Member name: Zaraki0112 Application to: 16 Air Assault Brigade PERSONAL DETAILS: [table] Real nameDate of birthLocationNationality Flip de Bruyn09/1990NamibiaNamibian[/table] CONFIRM THAT YOU AGREE TO THE FOLLOWING JOINING REQUIREMENTS: I own ArmA3 I own a Microphone I am 18 years of age or older I can meet the 16AA's requirement about no dual clanning I can attend a 3-hour operation every Wednesday and Sunday from 1900 Zulu (in summer) / 2000 Zulu (in winter) I will respond to posts on the forums in a timely fashion I will let the group know when I cannot make scheduled events and post LOAs in a timely fashion I wish to be a contributing and valuable member of this group GAMING AND EXPERIENCE: GAMING AND REAL LIFE EXPERIENCE: I have been part of MILSIM units in Arma 2 and Arma 3 in the past. I am the manager for several companies in real life which often forces me to make decisions for groups of people. Both these aspects have enabled me to look at what a group is lacking and strong in and thus gives me the ability to learn and take on any role necessary. 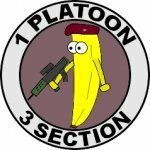 PREVIOUS GROUPS: RCT19(Disbanded) 18th Recon Patrol (2014-2015) Left because of community disputes which lead to inactive MILSIM unit. REASON FOR APPLYING: I am looking for a mature, 'serious-fun' group. A place where everyone knows what we want and what we are there for. 16 AA seems to have this set in place. A properly structured logical warfare setup combined with a proper use and love for Arma and war itself. WERE YOU REFERRED TO US: Yes. I have a fellow player and we were looking for a MILSIM unit to join and he found you first and verified that you were the real deal so I came to apply here as well. VANDER referred me to this unit.